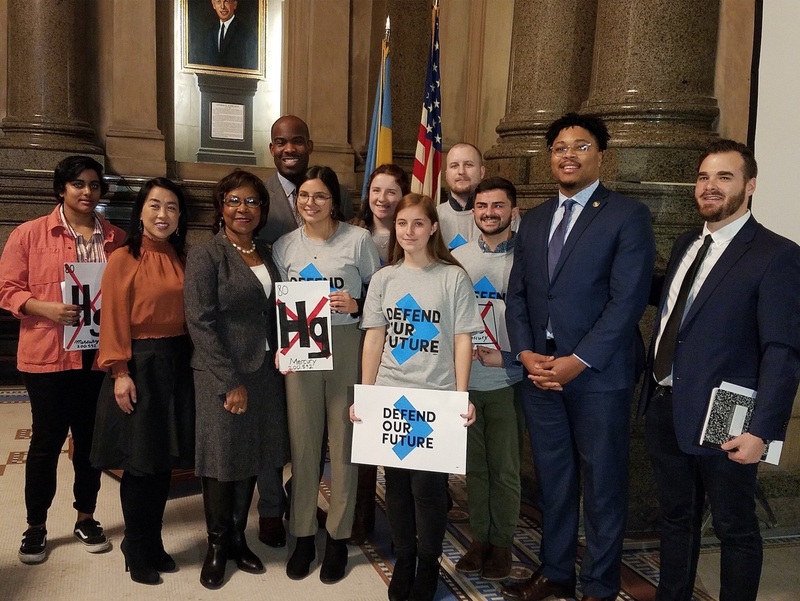 On February 7, Philadelphia City Council members Blondell Reynolds Brown, Derek Green, Helen Gym, and State Rep Malcolm Kenyatta join Defend Our Future’s student leaders in opposition to the proposed federal rollbacks of Mercury and Air Toxics Standards (MATS) at a press conference in City Hall ahead of a successful vote on a City Council resolution in support of the environmental and public health safeguards. The event, hosted by City Councilwoman Blondell Reynolds Brown and Defend Our Future Pennsylvania State Director Colin Pepper, highlighted the critical importance the endangered standards are to the public health, safety and economy of Pennsylvania and the nation. Held in City Hall prior to a Council vote unanimously adopting a resolution opposing the rollbacks that has overwhelming co-sponsorship support, the day was also marked by the submission of the proposed federal rollbacks to the Federal Register for publication. Mercury pollution, which puts children, pregnant women, and frontline communities most at risk, has been linked to organ damage and developmental complications in newborns. For more information, visit the Defend Our Future website.